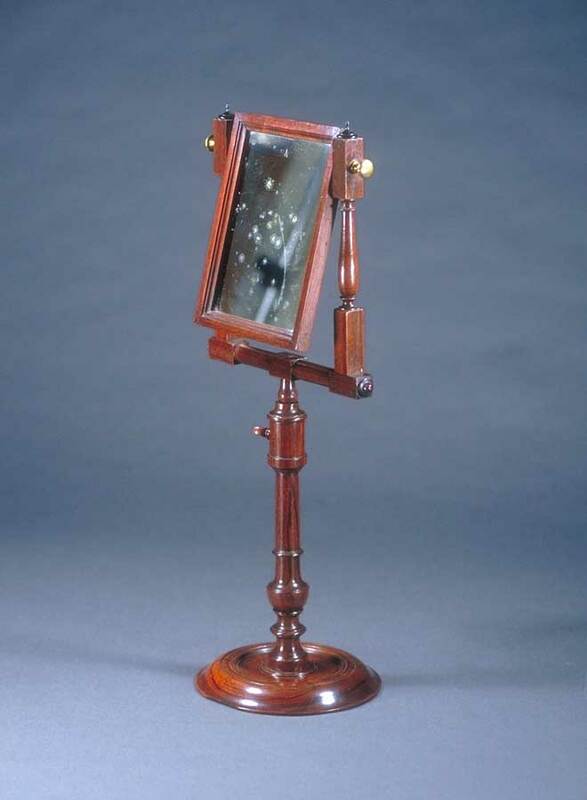 A rare wood, 18th c., English adjustable shaving mirror. This mid-18th century example is a rare survival and appears to be made in paduc wood. It retains the original mirror plate and has rich turnings.